Home Uncategorized Four Part Series: Editors at the Top! Hello again, it’s Barb Rosenstock. PBB asked me to return to fill-in for Pat Zietlow Miller for a few months. 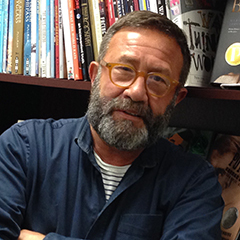 I decided to develop a series of posts on picture book editors by interviewing the style-makers and award-winners—the folks who run their own imprints. I hope you learn as much as I did from these innovators in picture book publishing. Why picture books? Were they a part of your own childhood? Why are they important? I’m told I was a precocious reader. My parents said I was reading labels at the supermarket when I was three. Ironically, considering what I do now, I don’t remember that many picture books so I must have moved fairly swiftly toward books meant for older kids. I’ll tell you a story though—I remember at a book fair when I was a little older, the book I desperately wanted, Danny and the Dinosaur by Syd Hoff—not a picture book but an I Can Read. I don’t remember why…if it was the cover, the pictures or what. But I was told “that book’s too young for you” and I was really disappointed. I think parents, teachers and other gatekeepers can make the mistake of over-guiding a child’s reading. I did eventually get Danny and the Dinosaur though, and adored it. Still do. I’m sure you’ve seen that article in the Times a few years ago about the death of the picture book. You know, because parents thought their kids should be reading Nietzsche or whatever. And it’s turned out not be true. Picture books are incredibly important to the education of a child, but maybe more important to experience pleasure in relation to reading and being read to by a parent or a librarian. Picture books expose children to wonderful language and incredible art. It’s never too early to start that. What’s the hardest thing about the picture book to get right? From an editor’s perspective? Getting the elements to work in sync. The words, yes, but making sure the illustrations also advance the story. I still see a lot of books where the illustrations are just restating what’s in the text. I prefer the more adventurous path of having the illustrations contribute in a meaningful way and extend the story. I suppose it’s easier if it’s a book by one author/illustrator, but it certainly can be done if there’s a separate author and illustrator involved. 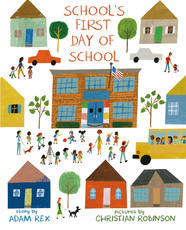 A good example of this is School’s First Day of School by Adam Rex, illustrated by Christian Robinson. It’s a familiar trope, the first day of school, but exciting because it tells the story from the school’s perspective. He’s newly built, nervous and has to come to terms with all the new kids he’ll meet. It’s a perfect approximation of what a kid experiences. In Adam’s text (which is his first, I think, that he hasn’t also illustrated) every beat is perfect. Christian Robinson’s childlike (but not childish) art gives the school building emotions. I didn’t want a big building with bug eyes or whatever. He subtly conveys feelings and thoughts in an inanimate object by an open door or window for example. Your imprint’s books have won every major award (most of them more than once.) When a book isn’t reviewed well or doesn’t get the readership or market attention you think it deserves, what do you tell yourself? What do you tell your authors and illustrators? How do you avoid taking that personally? That’s very hard. It’s hard not to take it personally but the wonderful thing about this business is that it is so personal. There are real human beings at every level writing, illustrating, editing, producing and reviewing. I guess I’ve been at this so long I’m thick skinned. But there is a kind of sadness that creeps in when you feel that others just aren’t seeing the book the way you did. What I tell my authors and illustrators is that I’m enormously proud and know they’ve made a lasting contribution to children’s literature. And, well, to hell with what everyone else thinks! I know that no matter how much noise is out there, how many tongues wag, or what’s on those “Mock Caldecott” lists, opinions are not all the same. And even if a book doesn’t get six starred reviews, it can find an audience. Which picture book trends do you like currently and which could you do without? 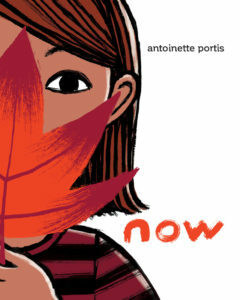 It’s gratifying to see how lively and vital picture books are right now. It’s a very interesting time for exciting, creative work. We were told the publishing world was going completely digital. That’s happily NOT the case, not for children’s books and not for adult books either. An e-picture book is the poorest facsimile of what we do. Picture books depend on the physical quality of turning pages. Swiping an Ipad screen is a terrible substitute. The physicality is important, the paper quality, the binding, the image on the case being different from the jacket. It’s an interesting phenomenon, the physicality of books. And I don’t think we should ever underestimate the ability of a child to understand complex emotions and complex subject matter. Sophisticated authors like Jon Klassen and Oliver Jeffers are popular and in their stories ambiguity plays a big role. I could do without the “Celebrity Book.” Not because they’re by celebrities; but because they’re so often not very good. They’re just marketing exercises to leverage the fame of a person to sell things to kids (or parents.) But there are celebrities, like Jamie Lee Curtis, who write good books. She’s found a readership because she has a talent for this. And I don’t like imitations of successful books. Press Here was a great idea perfectly executed by Hervé Tullet. But now we see a bunch of imitations that you can shake or turn or whatever. Also Mo and his Pigeon, those books are great, but now every book has to talk TO the reader. I get tired of that. Picture books built on conceits or one joke also leave me cold, they’re not full-fledged stories. I need a sense of satisfaction, a full meal, not gimmicks. 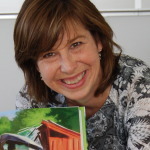 What do you wish beginning picture book writers most understood about publishing? Don’t try to anticipate what publishers are looking for or write to trends. Picture books take so long to produce that by the time your book comes out the trend will have long passed. Focus instead on writing something that comes from the heart. Write something that pleases you, that’s important to you, not what you think pleases others. Which picture books in your upcoming list are you excited about? 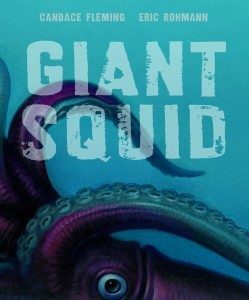 All of them, but Candace Fleming’s Giant Squid, illustrated by Eric Rohmann, was just released. (September 27, 2016.) I’m proud of this book, it’s an exciting, informational picture book with a surprisingly lyrical text in view of the subject matter. With a few extra surprises too. 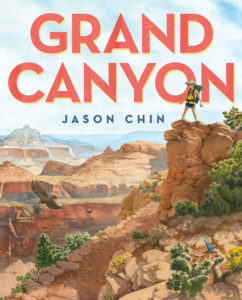 Jason Chin’s Grand Canyon will be coming out next winter. He’s one of our great informational picture book creators in terms of writing, research and art. I don’t know if anyone remembers Cinerama, but this book works like a widescreen movie of the Grand Canyon with die-cuts that let us move back and forward in time and a double gatefold that gives an amazing panorama of the Canyon. OK all you Picture Book Builders, that’s four terrific new picture books to look for! Thanks so much Neal for your time and thoughtful answers! Adam Rex, Antoinette Portis, Barb Rosenstock, Candace Fleming, christian robinson, editing, Eric Rohmann, interview, jason Chin, Neal Porter. Bookmark. I’m looking forward to GRAND CANYON and NOW. Both Antoinette Portis and Jason Chin’s work amazes me. Great interview, Barb & Neal! I like this series. And thanks for the tips not to write to trends but from the HEART! Absolutely Tina, and if Neal says it, it must be true!!! Love everything about this. Thanks, Barb, for bringing this to our readers, and thanks, Neal, for a meaty, insightful interview. Wonderful interview, Barb, and thanks Neal for sharing your insight into PBs. 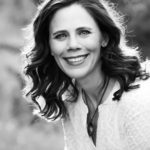 I love how You & Roaring Brook take risks with your books–they are books with heart that sing! Roaring Brook takes risks, that’s a great way to put it, Maria! And those risks certainly pay off…something we should remember with our writing/illustrating too, right? Thank you, Barb, for a great interview. Thank you, Neal, for writing about your heart that goes into your work. I realize that publishing is a business, but children and adults can tell the difference between heart and marketing. I agree that the best loved picture books come from the heart. Always go with heart over marketing, the passion shows through. Thank you! Wonderful interview! It’s so helpful to learn what’s going on in the editor’s head. Barb – Cannot express how exciting to read this will be a four part series! This gives us a lot to anticipate! Awesome interview!! Great, informative interview. Having taught for years, I’m looking forward to School’s First Day of School. Hope you pick up a copy, Anola! It’s out in bookstores now! Didn’t you love the title page mid book Ellen? That was a design risk that paid off big time! I’m going to have to buy a bigger bookshelf for all these amazing books! Thanks for filling in for Pat and for the great interview! Oh, I am so inspired. Very informative. thanks so much! So many books…so little time. A great behind the scenes look at publishing from a master at his craft. Your questions were insightful, Barb. I admire Neal Porter and the deliciously wonderful books he publishes. I’ve added all of these titles to my list of books to read, Barb. Thank you for an outstanding interview with Neal. I especially like his words of encouragement for beginning pb writers: “focus on what comes from the heart”. Neal is very encouraging about picture books in general, thanks Suzy! Really interesting interview. Looking forward to reading all four. What an amain interview, Barbara. Everything Neal said is so quotable. Following this great set of posts. TY. I love Neal Porter books. I’ve already read the two that are out and they are amazing. Thanks for interviewing editors. Very informative. That was my hope Susan, thanks! Wonderful interview. Thank you very much. Informational picture books a genre new to me. I tend to read non-fiction and then try to write picture books. This interview gives me a new perspective and a creative turn to try. Thank you so much. I love that someone finally says to write from the heart, to write something that pleases you. Too often we are told to follow the trends and write what will be popular in the future. Thanks for a wonderful interview. And not just someone, Linda, Neal Porter. So get to it, write from your heart! I always say you can’t BE anyone else, so you can’t WRITE like anyone else. Thanks for brining us this interview, Barb. I look forward to the rest of the series. Thank you for asking Neal such good and insightful questions. I’m excited about the new books that were featured. I’ve heard hints about them, but it’s great to see their covers. Wonderful interview. I recently listened to Neal Porter on Matthew Winner’s All the Wonders podcast. It was nice to learn more. Thanks so much, Barb!